Something that I love to make and eat is pizza. I have had my share of great pizzas from all over but none has come close to my favorite pizza I had in Montepulciano, Italy. 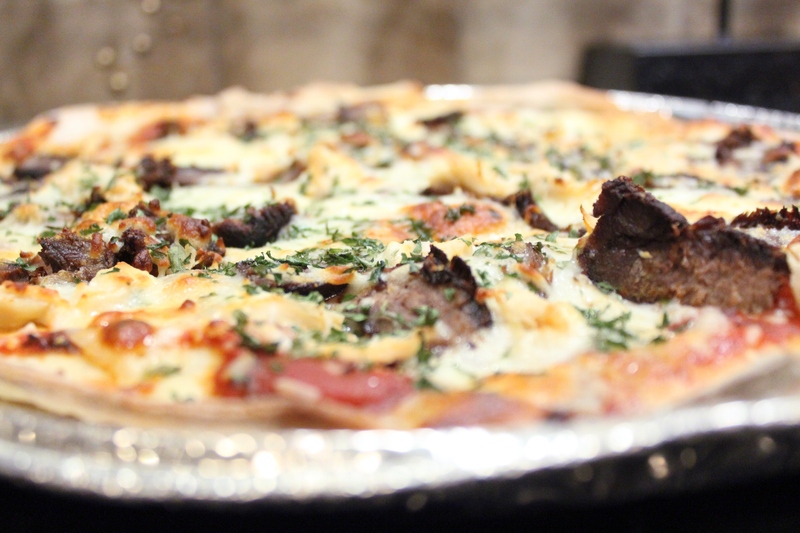 Since I haven’t had the opportunity to go back – yet, anyway – I want to tell you about another great place I have experienced pizza in all it’s glory and then share with you the dough recipe. Pizzaria Bianco is a great little place located in downtown Phoenix. Unless you are dining with 6 or more you cannot make a reservation … which you would need to make at least a month in advance anyway. If there are just a few of you, plan on waiting several hours outside the restaurant so you can MAYBE get a table that night. A good time to get there is about 3 or 4, that’s when the line starts. Crazy? Maybe, but everyone’s gotta experience it at least once. In the meantime, make his world-famous dough recipe and add your favorite toppings. Enjoy! Prep dough: Dissolve yeast in warm water and allow to stand for a few minutes. Add 3 cups flour and the salt, stirring until smooth. Then add 2 more cups flour and continue to add until the dough pulls away from the bowl but is still sticky. On a lightly floured work surface, knead dough. Pull and push dough and fold the dough back over itself . Repeat until it’s easier to handle, once the dough is more pliable and smooth place it in an oiled bowl and cover. Allow dough to rise until double the size, about 3 hours. Roll it out and add toppings: Transfer dough from bowl to floured surface, and cut it into 4 pieces. Shape into balls. Dust with flour, and cover with plastic. Let rest, 20 to 30 minutes, allowing dough to relax and almost double. Roll out dough and place on pizza stone. Add toppings and bake at 500 degrees until golden and bubbly. notes: Instead of rolling out the dough you can also try the old fashion way – which is to do it by hand … and I just haven’t mastered that yet! Don’t go cheap on the toppings either. Be creative and use good products. … Hope you have a great time making pizza with your family and friends!